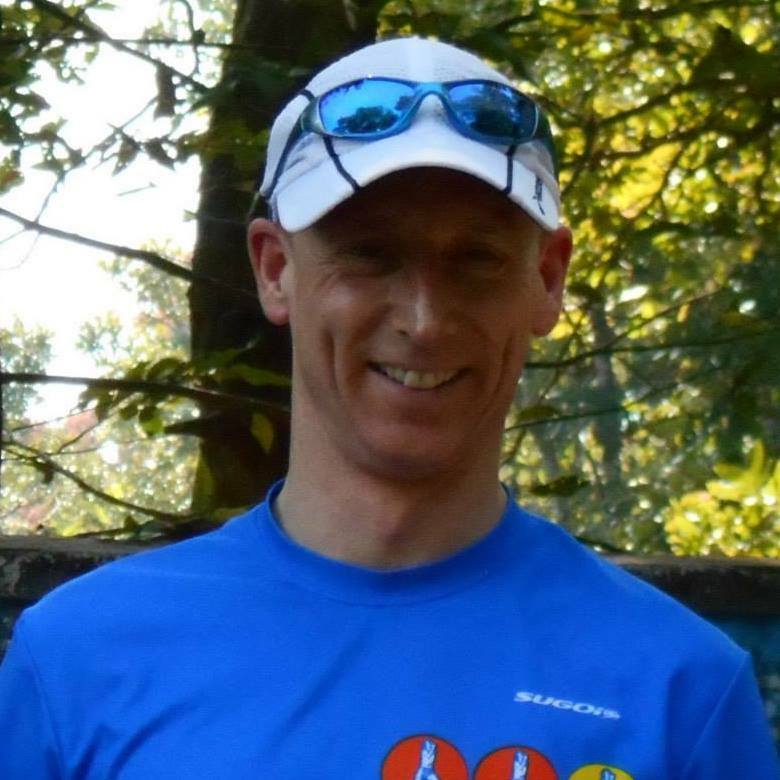 Running for Peace and Harmony – Reflections and the Future. I became a student of a spiritual teacher, Sri Chinmoy back in 2004. I have been practising meditation for the past 11 years with the Sri Chinmoy Meditation Centres. Little did I know it but it was something that was going to become an important aspect of my life. I would experience some of the most joyous and happiest moments in my life. 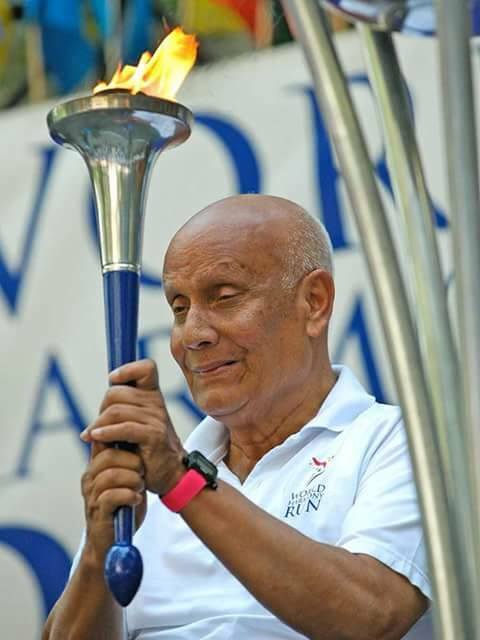 The Sri Chinmoy Oneness-Home Peace Run (previously known as the World Harmony Run between 2005 and 2013), founded by the spiritual teacher Sri Chinmoy is a global relay that seeks to promote international friendship and understanding. 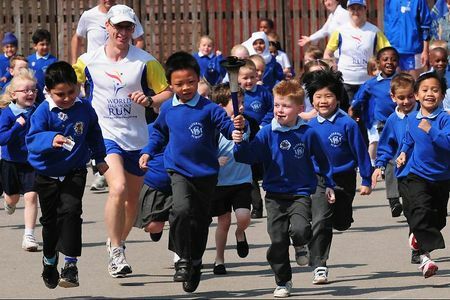 Since its inception in 1987 the Run has traversed over 140 nations and touched the lives of millions of people. 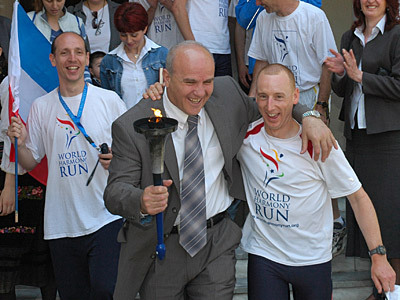 The Peace Run does not seek to raise money or highlight any political cause, but simply strives to create goodwill among peoples of all nations. 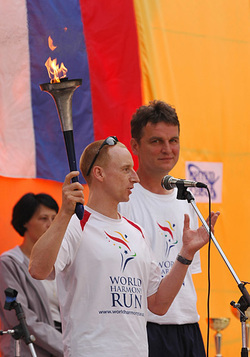 Every two years continuous routes are organised in Europe, Africa, North America, Asia and Australasia in which teams of relay runners carry a flaming Peace Torch. 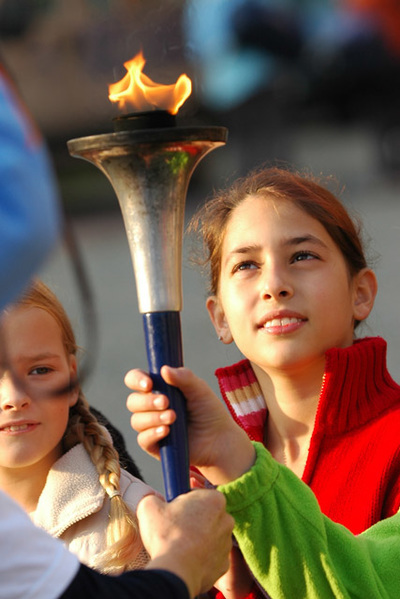 By passing the torch from one person to the next, the relay offers people from many nations the opportunity to express their hopes and dreams for a better, brighter future. People from all walks of life hold the symbolic torch to wish for a peaceful world. 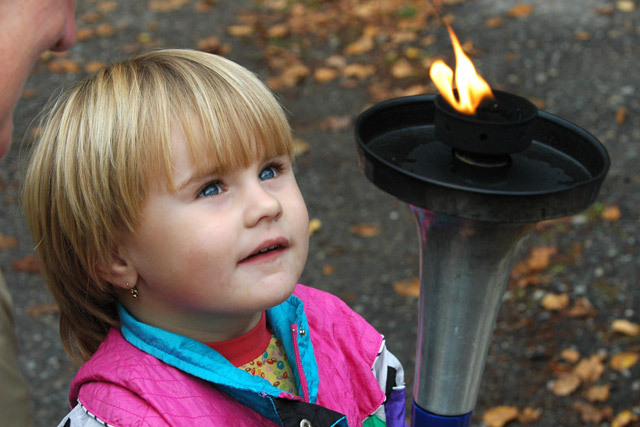 Passing the torch from one person to the next unites us together in our common aspiration to offer something positive to our world – together we can make a difference! 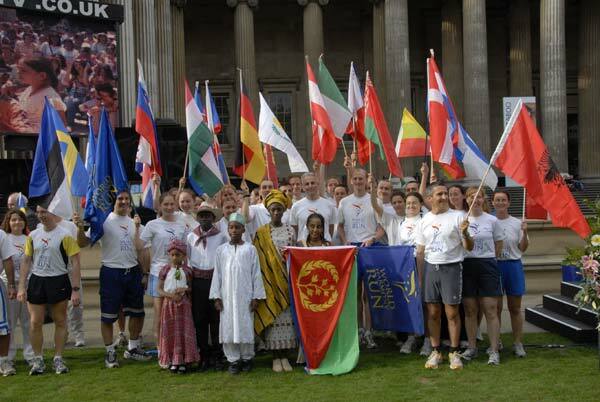 In 2006, I embarked on an amazing 6 month journey with the European leg of the World Harmony Run that was to take me through 30 countries and leave me with such wonderful memories that they will stay with me forever. As I reflect on what only can be said as. 'the time of my life', I cannot help but smile and feel a loving sense of joy and happiness. My words cannot truly convey fully my experiences as what I write seems inadequate on the myriad of images swimming in my mind and how many people touched my heart. On the Peace Run you have so much fun, but at the same time there is an appreciation of how much work each individual has to contribute to the whole team to make the Run function day to day. People often comment that the running must be the hardest part – how to keep running up to 20-30 km a day, every day. But I feel that the running generally is the easiest part. What people don’t see are the stamina, discipline and resilience that runners need to keep going on the road under generally demanding and challenging conditions. There is sleeping in a different place every night, having no personal space, and there is always something that needs to be done – whether cleaning the vehicles, washing your kit, writing the daily report for the website, sorting out the food provisions, and after all these evening chores, to fit in some much needed rest. But for me, all this is what makes the experience so special. It’s good to have routines and each new runner that joins generally adapts to a World Harmony Run body clock which is long, exhausting, but very happy days, with blissful sleep at the end of each day. Team dynamics are rather an interesting part of the Run. The common thread that links us altogether is our aspiration for oneness and harmony and how each runner can help create this in the whole family. It is this sense of oneness that is created within the Team. 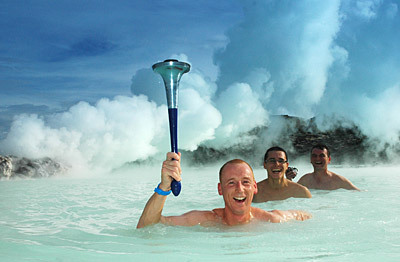 It is not always harmony within the Team, but you find that you learn as much about oneself as about other people. The World Harmony Run is in a constant state of flux and has an energy and momentum all of its own. As a member of the international team, I felt such gratitude to be given this opportunity to meet so many people. For a fleeting moment the World Harmony Run torch touches peoples’ lives, but their heartfelt goodness, their smiles of young and old and express sincerity for harmony, joy and oneness remains for eternity. The World Harmony Run runners do not make the World Harmony Run, but all those people that we meet and those that hold the torch and all those children that so joyfully run with us – they make the World Harmony Run what it is. My name Rasmivan (Rush-mee-van) was given to me by Indian spiritual master, Sri Chinmoy. It means “bearer of rays” and another name for the sun and the moon; it also refers to a deity of the universe. I have studied meditation with Sri Chinmoy since 2004 until his passing in 2007, and I’m still an active member of the worldwide Sri Chinmoy Centre. 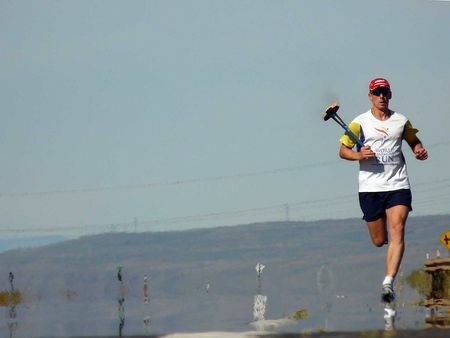 I have always enjoyed running, but it was only in 2006 that I ran my first marathon. 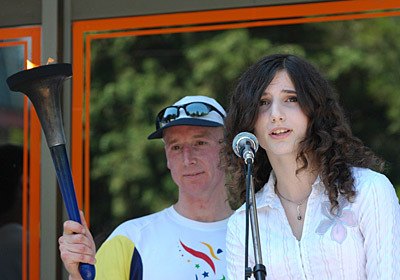 I then steadily progressed into ultrarunning and ran my first 24 Hour Race in 2009. In April 2013 I ran my first 6 Day Race – the Self-Transcendence 6 Day Race in New York. I run for the Sri Chinmoy Marathon Team.